When Trayvon Martin was killed in Florida, by a member of the local neighborhood watch, the opinion and editorial pages had a lot to say. There were two recurring themes; reminiscences of similar, albeit non-lethal, experiences, and concerns over how to raise black sons so they stay safe. I was saddened to learn that many parents of black children, particularly sons, are still teaching their children to respond to authority the way they’ve been doing it for generations. The first line in Yvonne Abraham’s March 29 column in The Boston Globe, Fatal differences, summed it up, “Humble yourself – as quickly as you possibly can.” Parents urge their children to demonstrate that they are not a threat before addressing whatever issue brought them to the authority’s attention in the first place. That’s a lot to ask of a child who hasn’t done anything wrong. If someone accused me of something I hadn’t done, I doubt that I could “humble myself.” I would probably ooze anger. And I’m not a child. 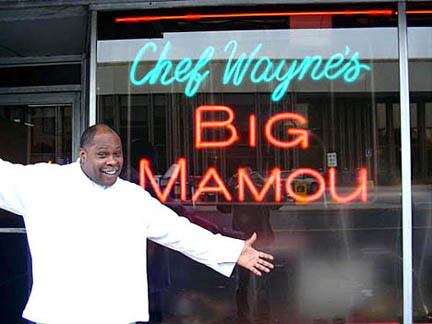 On March 28, Mac D’Alessandro wrote in his Globe editorial, No more ‘yes, sir,’ that after a lifetime of practicing what his parents taught him, “There’s no more room inside to swallow any more pride or dignity, and I have found that anger and confusion have become indigestible.” I’m amazed he made it as long as he did. Why is the onus on the innocent to be calm and accommodating? 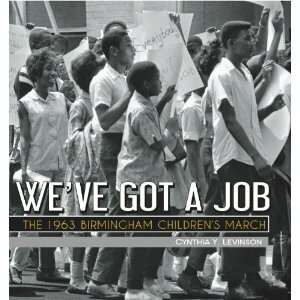 There’s a new book for middle grade students by Cynthia Levinson called We’ve Got a Job: The 1963 Birmingham Children’s March. It covers a period in the civil rights movement in Alabama that focused on a strategy to “fill the jails” in order to draw attention to the cause. Schoolchildren answered the call and went to jail. Before they were allowed to participate in the act of civil disobedience that would land them in jail, they were required to attend sessions on nonviolence. It was a good strategy at the time, and I’m not advocating violence, but wasn’t that all done so black people could be treated as equals and not have to behave that way as a general rule? I had just started reading Levinson’s book when Trayvon Martin was killed. It’s well-written and since it’s told through the stories of four particular youngsters, it will engage the readers for whom it is intended ─ children. But I think grown-ups should read it as well. We need to be reminded how recently these events took place, and redouble our efforts to guard against behaviors we know to be unfair, and uncalled for. When I was a little girl, I was innocent of anything that went on outside of my immediate surroundings, as are most children. As an adult, I’m horrified to think that while I was happily taking advantage of all my town had to offer, elsewhere other little girls may have been crying because they had to go to the bathroom and the facilities were for whites only. To think that for all the progress we’ve made, parents still need to admonish their children to be “humble” to avoid the risk of arrest, or worse, is sad beyond words. Why does it take so long to effect change? What is wrong with us?